There are no hard and fast rules that say you must wear a white dress to your wedding. 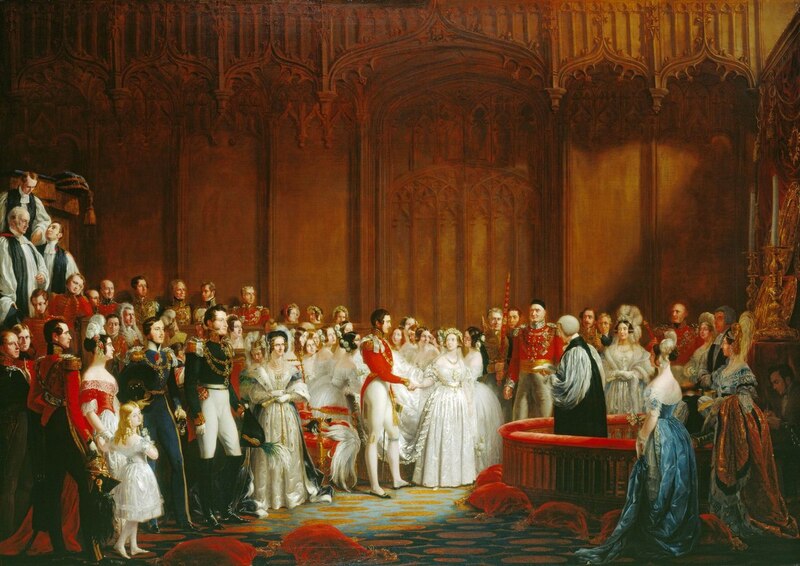 In fact, it wasn’t until Queen Victoria’s marriage to Albert of Saxe-Coburg that white wedding dresses even became popular (Wikipedia tells me that only one recorded instance of a woman wearing a white gown on her wedding day happened before that of Queen Victoria). Contrary to contemporary weddings and marriages, marriages were often more than uniting two people: it was often a union of two countries or two businesses, as well as two people and two families. As such, brides wore luxurious fabrics and striking colours that would exemplify the family wealth and societal standing. I’m not wearing white, I’m wearing a blue lace dress that I found on Etsy hailing from the 50s. Does it signify my family’s wealth and nobility? Not really. What it does signify is my love of the 50s, my love for the colour blue, and my love for living within my means (did I mention it was $145 including post from USA?!). 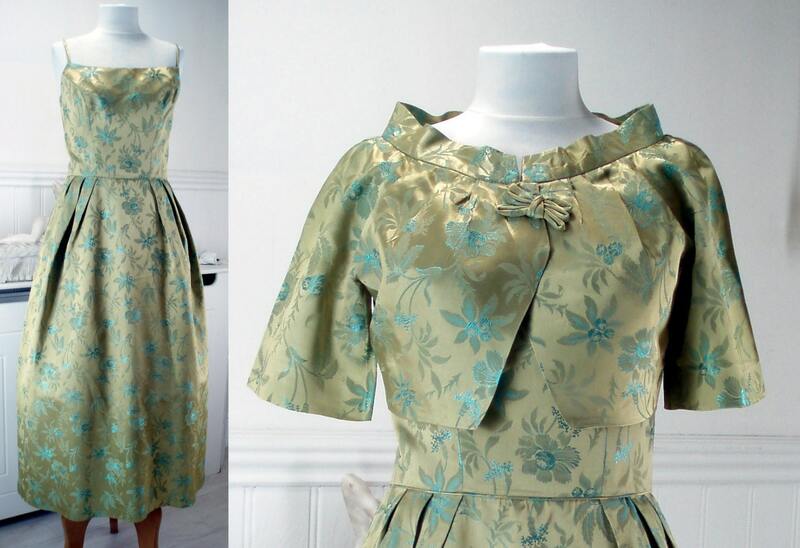 Here are two dresses I’m crushing on from Etsy sellers that could be worn as wedding dresses. Aside from having a gorgeous wedding dress, the one thing I’m looking forward to about my wedding dress is that I can wear it again and again and again. The same can be done for these beauties too. Shoes can be a little difficult to find online, particularly vintage ones, but I think that half the fun of vintage is not knowing unless you try. 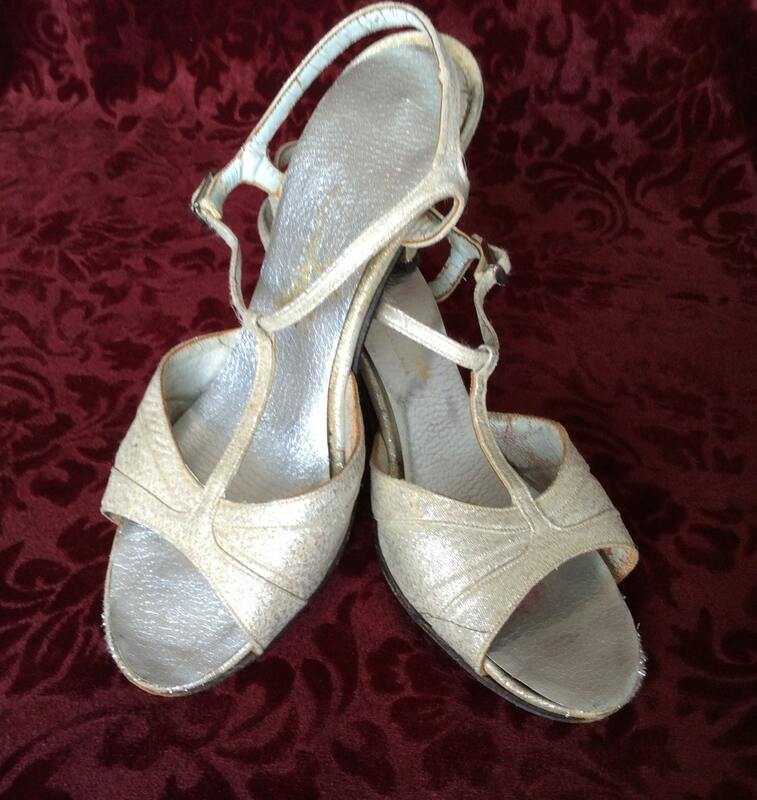 Unfortunately my wedding shoes aren’t vintage, but they are vintage inspired…and from a kids’ shoe shop. I’m yet to land my first pair of vintage shoes, but I am positive that the day I do will be a day I will cherish forever. These two pair of vintage shoes have me reminiscing of the days I could wear heels. 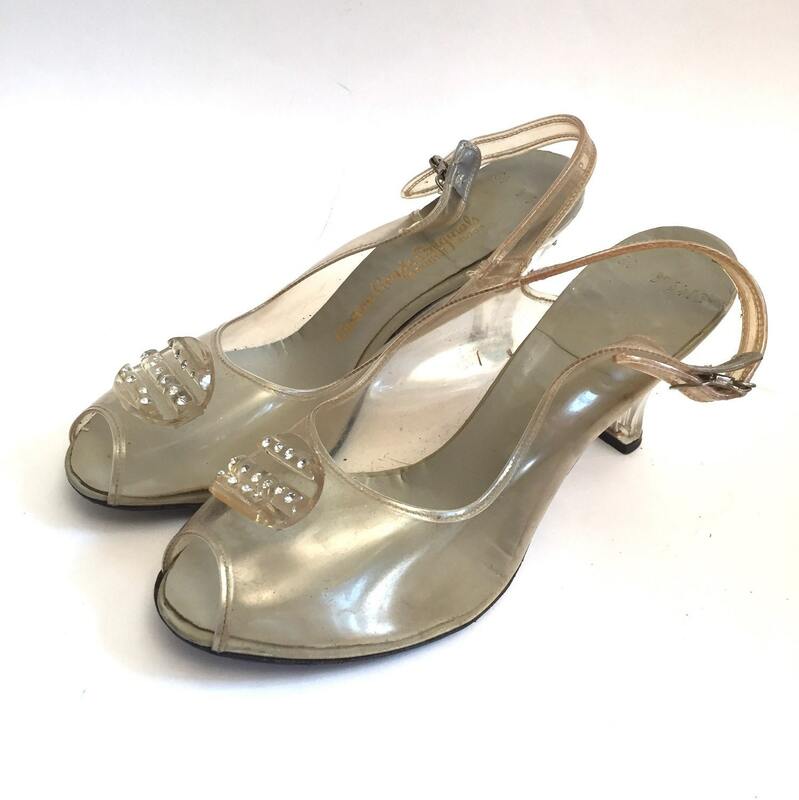 I am seriously considering buying those clear lucite heels for myself! The gradient doesn’t look as though it it would cause me too much pain, I’d just have to measure my foot to see if they would even come close to fitting. It’s up to you if you want to rock a veil or not. If veils aren’t your thing, but you want to wear something on your head, Etsy has a plethora of head wear suitable for your vintage wedding. 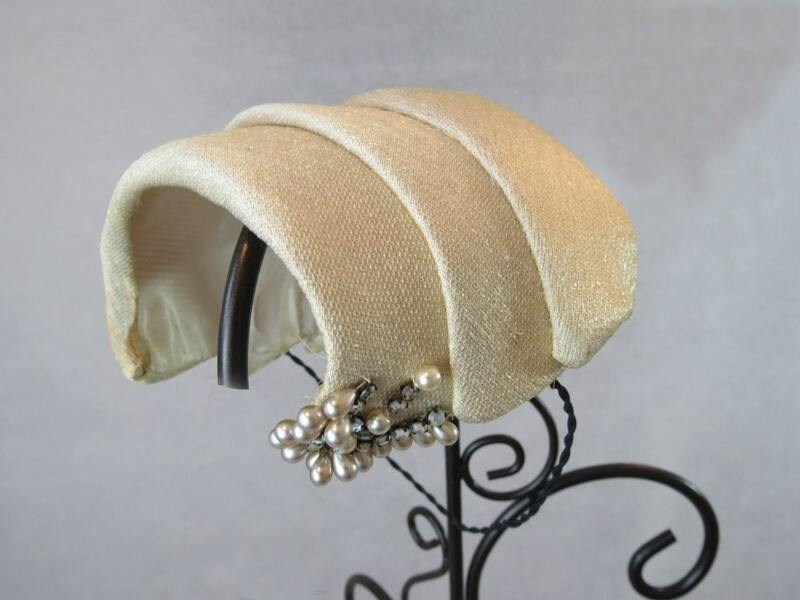 One of my favourite search terms is ‘Vintage Cocktail Hat’. I’ve found a couple of cocktail hats that would suit the dresses from earlier, and each are quite reasonably priced. 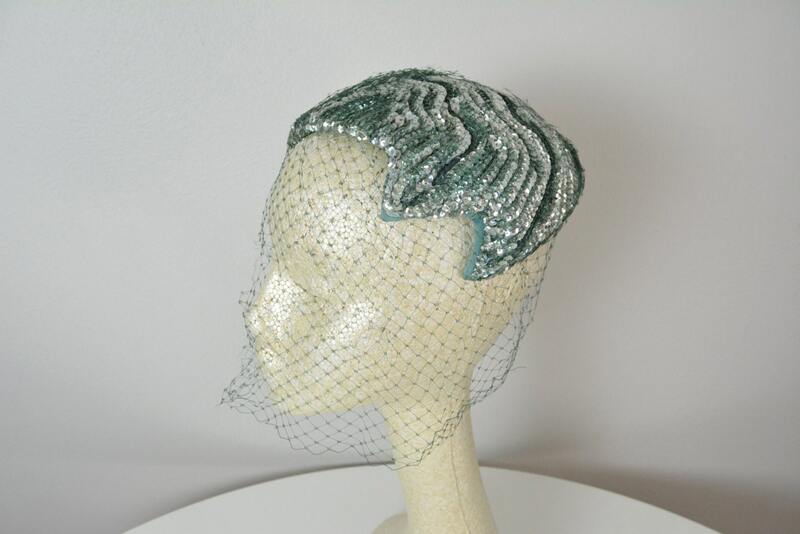 Okay so the bottom one has netting attached, but it’s so elegant that it’s hard to think of it as strictly being a veil. I’m actually wearing a veil, a little blusher veil, it’s my something borrowed. I never thought I’d be a veil girl, but it went so perfectly with my dress. our Wedding: Vintage or NOt? Is it just me, or do weddings often get quoted as being ‘your day’ or ‘the bride’s day’? I try my hardest to refer to our pending nuptials as Our Day because it is. It’s a day for the both of us. I can’t marry myself (I am not Sue Sylvester!). Vintage weddings are all the rage right now, and to be honest, I feel a little like I’m following the rest of the crowd with some aspects of our wedding, but the fact of the matter is there really wasn’t much avoiding it. We had planned on using old doilies that belonged to my grandma and granny (my mum’s mum and grandmother) but I decided against it because I couldn’t bear anything being spilled – albeit it accidentally – all over them. I don’t need those concerns on our wedding day. Instead, we’ve ended up with lace and burlap table runners but I might just end up cutting back the burlap a little because I only wanted a lace runner (The Mister didn’t mind either way), but I couldn’t find one wide enough. We ended up purchasing some ex-rental runners from My Sweet Event Hire, so I’m delighted that I could help another small business and also support the environment by buying already used items, and then they can go on to someone else! 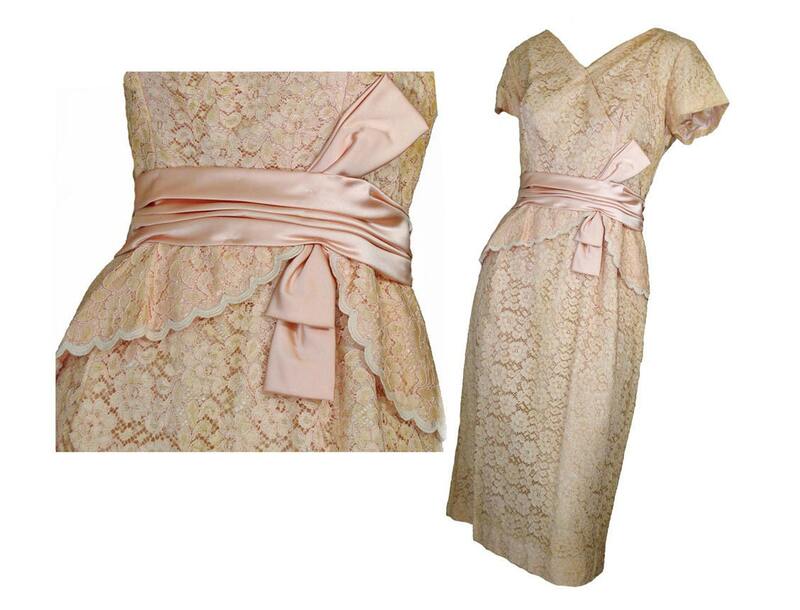 However, I don’t exactly think that lace and burlap constitute what many people are calling a ‘vintage wedding’ item. I think they are more a rustic or southern charm look. When people ask me or us about our wedding, they automatically assume that it will be filled with vintage. Recently, I had somebody ask me if I was using a particular photographer (I honestly can’t recall with whom I was speaking either! 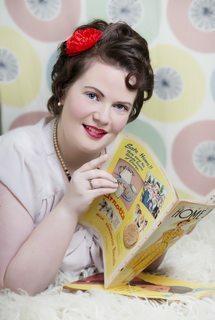 ), and they apologised and said that they just thought that as this person is a photographer who specialises in vintage style that we would have booked them. Aside from the car, the dress, and the necklace – all of which are vintage, everything else is just reflections of what we love and how we want our day to be decorated: low effort, low cost, and kind to the environment. Did you or will you have any vintage elements incorporated into your wedding?